Keep food and water bowls, litter box, pet bed, and other essentials in an easily accessible location, and don’t move them. Cover sharp corners on furniture, and make use of gates to block off stairways, pools, hot tubs, and other potential dangers. Although moving furniture may be unavoidable at times, and pets will eventually learn their way around in a new environment, try to keep their surroundings stable during the adjustment period. Clear protruding branches and other debris from the yard for dogs. Blind cats should always be kept indoors for their safety. A pet that has lost its sight, has lost one of its major senses. As a result, it will have to rely solely on the remaining others, which are sound, touch, smell, and taste. It is very important to understand that your voice will now play a much bigger role in communicating with your pet, along with how you physically touch and handle your pet. Smells will also become important cues that can be used to guide and comfort your pet, as well as help your pet navigate a room or hallway. Remember that gentleness and patience will go a long way towards minimizing any fear and confusion your pet may be experiencing. It will also help in building the confidence your pet needs to respond positively to you and the environment. Even if your pet is not having a difficult time adjusting to the loss of its sight, engaging the other senses can help keep his or her mind sharp and spirits up. Try toys that crinkle, squeak, or jingle, and make use of familiar smells, music, and even a metronome or other noise-making object to lead your pet through the house or warn it away from dangerous areas. Try not to startle your blind pet, especially if he or she is older and may be losing hearing capabilities. Always let a blind pet know you’re coming by making noise or with a verbal greeting. Never “sweep your pet off the ground” without first saying hello or petting him or her. If you do pick up a blind cat or dog, don’t set it down in a different area of the home unless absolutely necessary. This is to ensure that your pet does not become confused as to where it is in your home. Keep an eye on your blind pet, especially in the first few weeks of it losing its sight, as your pet may become “lost” in your home and need your help getting back to a familiar spot. It is not uncommon for a family member to discover their blind pet stuck in the corner of a room or facing a wall, bewildered and not knowing which way to go. If your pet is used to following you around the house, talk to your pet with an encouraging voice while moving from room to room, so he or she can still follow your voice. Take it slow and use a lead, if needed, to encourage your pet along. Never leave your pet alone outdoors! While it’s still important for your pet, if it is a dog, to experience the outdoors, always stay with your dog. Keep your dog on a lead no longer than 6 feet when on walks or hikes. Your dog can still go with you on outdoor adventures, you’ll just need to take it easy and stay in tune with his or her needs and capabilities. Let visitors to your home know about your pet’s condition ahead of time, so that interactions with your pet can be adjusted accordingly. You might also consider purchasing a special collar or bandana to alert others to your dog’s special needs, in case your dog gets lost and needs help. Make sure your pet is micro-chipped and keep your contact information current. It’s important to recognize that there will be a period of adjustment after a pet loses its sight. How quickly a pet becomes acclimated to its new normal will depend largely on the pet’s individual personality. You can help by being patient with your pet, as well as yourself, and by accepting that you may make a few mistakes during the learning process. Never take the frustrations you feel out on your pet. You will get better at understanding and anticipating what your pet needs as time goes on, and things will get easier. Keep your spirits up. For those of us who have lived with a blind pet, it is extremely disheartening to see a once active and happy pet lose its sight and, then, become apprehensive and depressed. By providing love, support, and encouragement, and including your pet in your usual household activities, your pet will adjust, regain confidence, and learn to navigate within this new challenge. For additional reading on living with a blind pet, here are a few resources that we recommend: Living With Blind Dogs by Caroline D. Levin, Blind Devotion by Cathy Symons, Mr. Smarty Pants: The Remarkable Life of A Blind Cat Named Jimmy Jet by Randi Golub, CVT, and “Homer’s Odyssey” by Gwen Cooper. 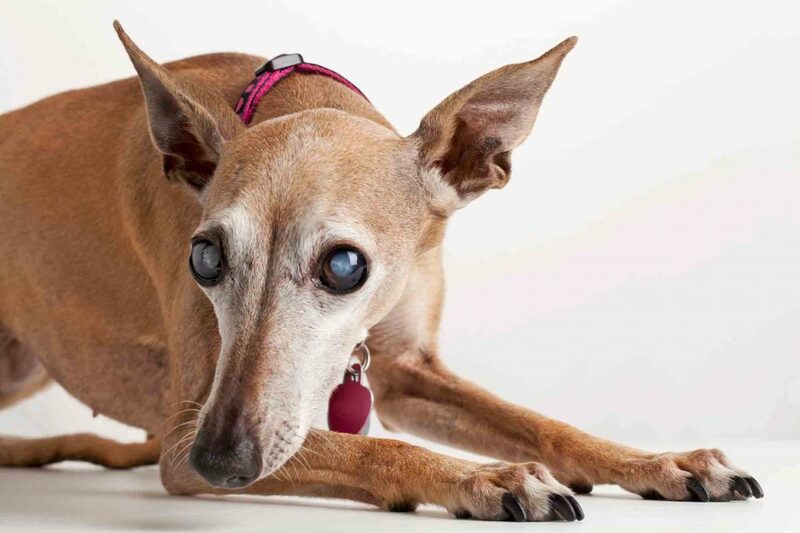 If you have any questions, or you are concerned that your blind pet is having trouble adjusting, please don’t hesitate to contact Lone Tree Veterinary Medical Center. We have staff members who have lived with a blind pet and are always happy to help with suggestions and encouragement.